Tanya Hardaway, 38, passed away on Monday, October 29. As reported on October 15, she had been diagnosed with uterine sarcoma, a rare and aggressive form of cancer. 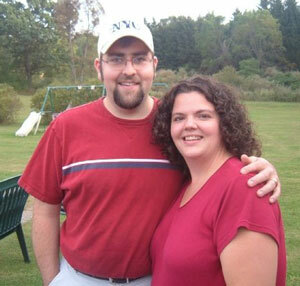 Tanya is the wife of Scott Hardaway, senior pastor since 2001 of Pathway Community Church in Jackson, Mich. Numerous sympathies have been posted on Scott’s Facebook page. Visitation: Sunday, November 4, 2-5 pm. Funeral: 11am Monday, November 5. Funeral location: Pathway Community Church, 5225 Clinton Rd., Jackson, MI 49201. After six months, 92 percent of Huntington University’s graduated education majors are employed in an education-related field. The university has consistently seen this success over the last five years. Of that 92 percent, 82 percent are employed fulltime — the highest year thus far – and 5 percent are teaching part time. A majority of those graduates are employed in Indiana. The survey was based on responses from 22 out of 25 graduates from the Class of 2012. Mark Wallace of Christian Horizons, an organization with which we partner in Haiti, sent this note on October 26 about Hurricane Sandy’s affect on Haiti. Please pray for the people of Haiti. Once again, this fragile country faces another challenge due to the impact of Hurricane Sandy. Our national director reports that there has been no electricity for many days. People are without water and food and are difficult to reach. More than one dozen deaths have been recorded, and many houses and bridges have been destroyed. The impact of this hurricane has increased the challenges in Haiti. Efforts to supply water to people from the water depot are under way. Please pray that assistance would reach those in need and for the children in our CH Global programs. Joan Sider sent this update on Hermmy on Thursday, October 25. Hermmy, a Haitian girl, was brought to Canada by the UB churches of Canada so that she could undergo an operation to repair a hole in her heart. That operation occurred October 10, and she came “home” to Joan’s place on Monday, October 15. Can you believe it was only two weeks yesterday that Hermmy had her operation? I find that nearly impossible to grasp. 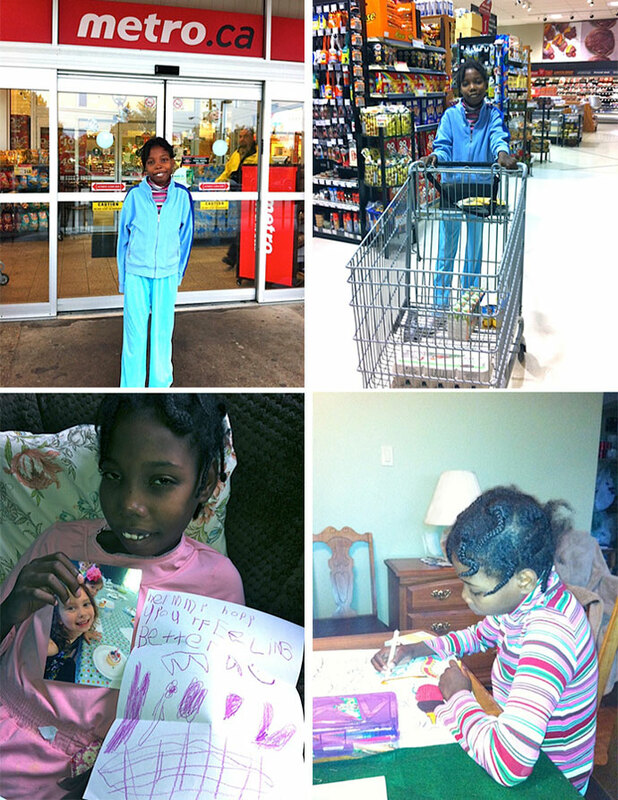 The progress she is making is phenomenal. We went shopping Tuesday afternoon, and after coming out with a few bags of groceries, Hermmy grabbed one of the bags and carried it to the car. There was no prompting on my part to do so. She smiled broadly as she did it. She knows that she is getting strength that she’s not had before. I kidded her that the next shopping day, she’d have to carry two bags. Her greatest joy comes from watching movies on either my laptop or the iPad as the pics will show. Wednesday was another library day. Hermmy is getting used to this trip–returning and picking up more DVDs. Today (Thursday), I was able to teach for the morning. It was good to get back in the classroom. When I came home, I broke the news to Hermmy that this was going to be a shower and hair washing day. As expected, this was not welcome news. However, I am happy to say that all is well, and believe it or not, I put her hair into a pony tail–looks a little off, but she wasn’t unhappy. She didn’t seem to have the energy yet to do anything with her own hair. Food continues to be an area where we aren’t having the greatest success. Swiss Chalet rice is the only rice she has enjoyed, scrambled eggs with ketchup, chicken noodle soup, popcorn and FudgeeO chocolate cookies are her favourites. Pineapple and orange juices and water are her favourite beverages. As I write this, we are watching the last of the third season’s Emily of New Moon. This is the activity we do just before Hermmy’s bedtime. Thanks again for the words of encouragement that many of you are sending our way. We know you are praying for us, and it is greatly appreciated. We’re continuing to ask God for Hermmy’s healing outside and particularly inside. Rick Tyler (right) has been approved as endorsed staff with Global Ministries. Rick and his wife, Diane, are from Parkwood Gardens UB church in Guelph, Ontario. 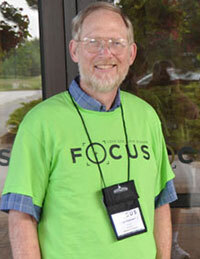 Rick has served in the home office of Christian Missions Resource Centre since November 2011. With CMRC, Rick is involved with mission trips to South America. In the past, he has led mission teams to various locations, mostly in the Caribbean and Central America. Rick has served with Christian Missions Resource Centre in Ontario, Canada for 12 years–first as a volunteer, and on staff since November 2011. He is well suited for his role in communications, since his background includes working in Christian television and media for over 35 years. Self-educated and self-employed, his projects include pioneering works to well seasoned ministries. CMRC’s mission is to help the world’s needy both spiritually and in practical gifts of helps. They have projects in Cuba, Peru, and Guatemala. The City of Peoria, Ariz., and Huntington University are exploring the development of a branch campus in the Phoenix suburb. The 180-day exclusive negotiating agreement, approved by the city council, will give both Huntington University and the city an opportunity to explore logistics, conduct market research, and assess the community’s needs. Huntington was recruited by the City of Peoria’s Economic Development Services Office because of its reputation for high-quality academic programs in both the sciences and the arts. Here is the City of Peoria’s press release. “Their programs in health care particularly resonate with the city’s strong employment base in the industry and offer a perfect complement to other recent developments in Peoria,” commented Scott Whyte, Peoria’s director of Economic Development Services. Since 2010, the City of Peoria has actively pursued attracting institutions of higher education, wanting to establish university campuses throughout the city. They see college campuses stimulating various business interests, including dining, entertainment, shopping, and services. Huntington administrators traveled to Arizona in August to meet with Peoria’s economic development officials. They also sought input from HU alumni living in the region. Another site visit was planned for October. While it may seem unusual for a Southwestern city to seek an educational partner in the Midwest, it is the result of the historical development of colleges and universities across the United States, explained Jeff Berggren, senior vice president for enrollment management and marketing. Berggren added that Trine University in Angola, Ind., and St. Scholastica College of Duluth, Minn., are also exploring the potential of offering programs in Peoria. Huntington administrators were introduced to the opportunity in Peoria by peers at Trine while collaborating on Fort Wayne initiatives. 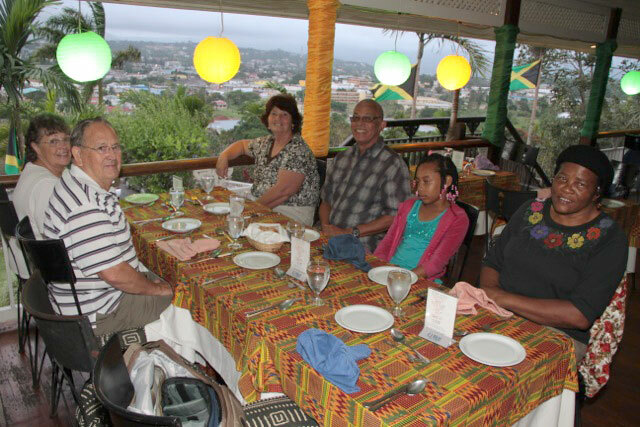 Dinner in Mandeville with Harold and MaryAnne Hancock (left), Owen, Frances and Sasha Gordon (right), and Donna Hollopeter (at the rail). Malvern Camp as it stands currently. The first floor was used during camp. Jamaica is raising funds and volunteers before we proceed with this 50/50 project. At the end of August, Donna Hollopeter and I traveled to Jamaica and met with the leadership there. Here are a few notes from that visit. Jamaica Bible College is now called Regent College of the Caribbean. The president of Regent is Owen Gordon, a UB pastor in Jamaica Conference. The school now accommodates a high school program for delinquent teens, business, education, and trade school programming. Harold and MaryAnne Hancock arrived in August as Global Ministries staff serving at the college, and were settling in well and ready to start the semester. Regent is building a new dining commons. The current facility is outdated and far too small to accommodate students for meals and chapel services. Up until now, they have been working on the project without any requests for assistance from Global Ministries. However, I’m sure they would accept any volunteer assistance. Owen Gordon continues to coordinate building projects for Jamaica Conference. All projects are submitted to conference leadership, whether they include Regent projects or not, so there is no concern regarding potential conflicts of interest. We visited Malvern Camp. More work needs to be done, but the conference was able to hold three weeks of camp using the new (but incomplete) building. At this point, Jamaica Conference needs to determine costs to complete the project, and the preparedness of their people to contribute funds and volunteers before we can make plans for more work teams. We discussed various issues with Bishop Isaac Nugent and other Jamaica leaders, including the idea of church-to-church partnerships between Jamaican and North American churches. Such partnerships would be limited to no more than 3 years and a partnering agreement should be signed indicating roles, responsibilities, and specific goals. 23 Oct Blue Rock UB: Softball Dynasty? 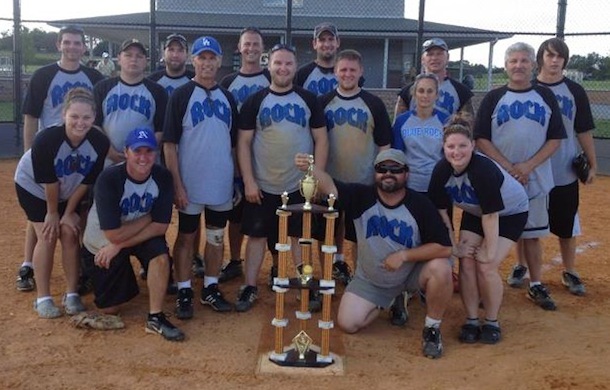 Blue Rock’s winning softball team. The softball team at Blue Rock UB church (Waynesboro, Pa.) has only lost 1 regular season game in the last 2 years. This year we won our division and then the tournament championship. This is a co-ed league that requires people to attend church in order to play. Blue Rock has used it to reach out to a number of young people, and in fact has seen salvation and baptisms amongst the team members. Also, 2 couples got married during the season. The team is coached by Jim Bakner and Brian Bitner. At age 52, I’m still playing the outfield regularly. Dan Paternoster, serving as a greeter at the 2011 US National Conference. We’ve not updated you on Dan Paternoster in a while. Dan, a veterinarian from Fowlerville, Mich., was hit by a car on August 28 while he was riding his bike. 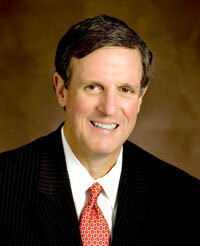 He has been a member of the Executive Leadership Team since 2001. Dan’s wife, Nancy, posts regular updates about Dan. Here are some from the past week. Wednesday, October 17. Dan’s progress has been very quick lately, although he still feels it is slow. Problem is, he doesn’t know where he started at less than 2 months ago. Yesterday he walked on a low balance beam as well as having some therapy in the pool. His left eye is improving slowly, but he still sees double much of the time. Today we’re venturing out to the Gerald Ford Presidential Museum in the afternoon WITHOUT THE WHEELCHAIR! We may have many rest breaks during our time there. This is a test for both of us to see how we do in the real world again. Thursday, October 18. We’re both tired after yesterday’s outing, but we survived quite well. Today we were given a release date of October 30th. Yay! Dan is happy that the feeding tube will be removed next week and the bladder stent the week after. All this just before we return home. Then on to some outpatient rehabilitation therapy. Sunday, October 21. Dan is continuing to get better and knows that it is true now when someone tells him so. We ask for continued prayer for his left eye to move properly and his vision to be restored to normal. Dan needs patience, as he has another 5 weeks before x-rays will be done on his neck and back to determine if his braces can be removed. Tuesday, October 23. On Tuesday or Wednesday of this week, I’ll be touring 2 rehab facilities for outpatient care for Dan. Please pray that the best choice for his further care would be obvious to all involved. After 22 years as president of Huntington University, Dr. G. Blair Dowden today (October 19, 2012) announced that he plans to retire. Dowden, 60, informed the Board of Trustees, during their October 18-19 meeting at the college, that he will retire at the conclusion of the current academic year. “President Dowden has been quietly considering retirement from Huntington University for some time. He initiated this transition now to give the Board plenty of notice, assure an effective transition of leadership, and to maintain institutional momentum,” said Kelly Savage, chair of the Board of Trustees. The firm Carter-Baldwin Executive Search has been retained by the Board to begin a national search for Dowden’s successor. “Huntington University has experienced remarkable growth and success under President Dowden’s leadership, and we are very grateful for his 22 years at the helm,” said Savage (left). Dowden became the 12th president of Huntington University in 1991. Dowden came to Huntington at a key moment in its history. Most campus facilities were new, and a well-credentialed faculty was in place. But with only 614 students enrolled, Huntington struggled for name recognition and financial sustainability. In his first report to the Board of Trustees, Dowden laid out a vision for making Huntington one of the top Christian colleges in the country. The plan called for “increased integration of Christianity in…all areas of institutional life.” Aggressive enrollment goals were based on the development of distinctive academic programs. The plan included increased financial support and greater public awareness of what Huntington had to offer. This vision was not about building an institution, but rather about equipping students to change the world. Eight buildings have been constructed or remodeled. The school has attracted a well-credentialed faculty. The student body has become more ethnically diverse. Academic programs were significantly expanded at all levels. The EXCEL adult degree program started. Some of the university’s largest and fastest-growing degree programs were launched during Dowden’s presidency, including nursing and digital media arts. The institution transitioned from “college” to “university” in 2005.